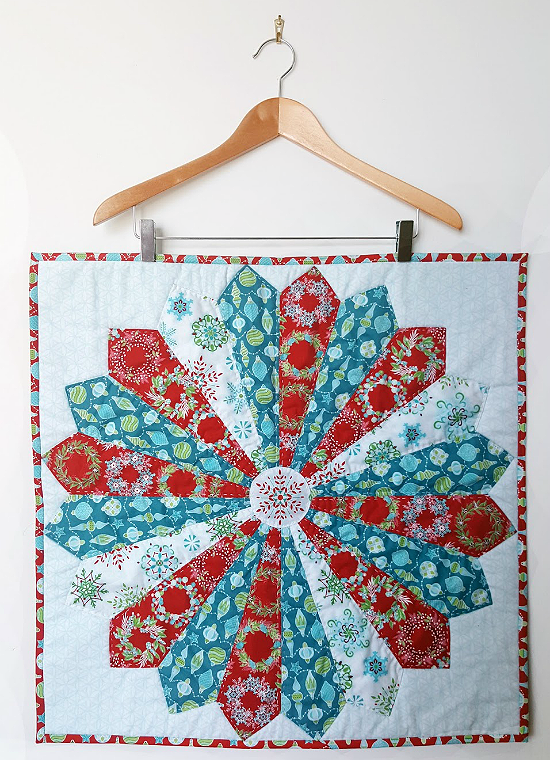 Pull out your prettiest fabrics for a striking table topper or wall quilt. 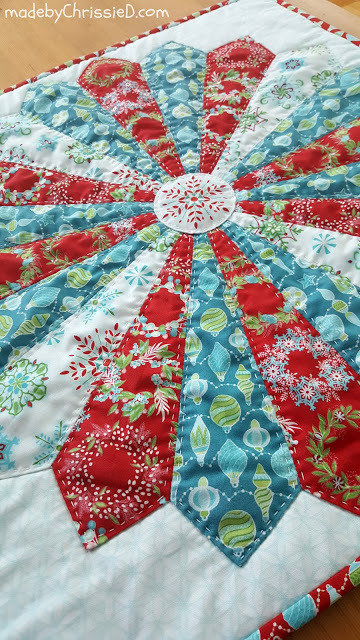 In this case, Christmas fabrics combine for a lovely quilt to enjoy all through the holidays. However, autumn hues, spring pastels and summer brights will be just as nice. Or, simply choose colors you love for a Dresden Plate quilt to enjoy all year long. Notice how an appliqued circle hides the center where the Dresden blades come together. A fussy cut snowflake motif was used in the example for a beautiful touch. Hand quilting adds an extra special touch, as well. Or quilt by machine for a quicker finish. The finished quilt, designed by Chris from Made by ChrissieD, is about 24″ square. 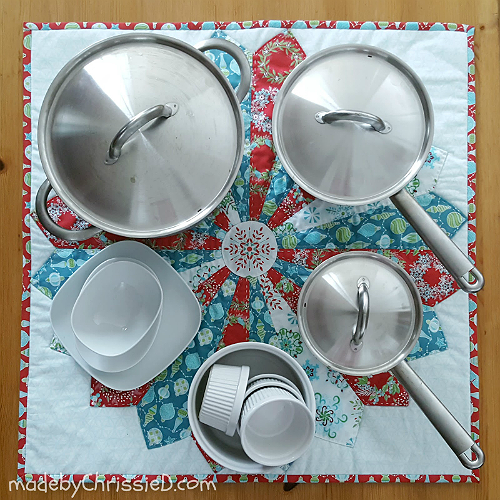 She cleverly used Insul-Bright batting so that the quilt can work as a large trivet for hot dishes at the table. Nice! 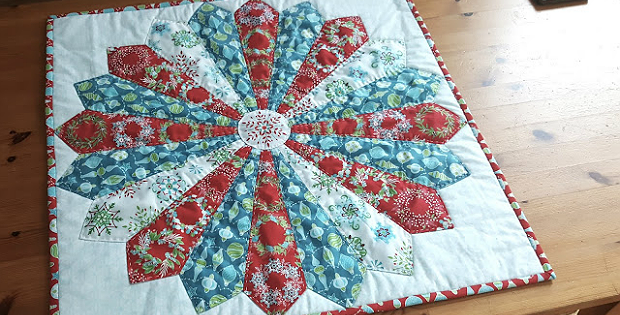 Click here for the free “Dresden Plate Table Topper” tutorial. If you don’t have 18 degree Dresden blade template you’ll find instructions here to make your own.